Shortlists are a great way to stay organized and to keep track of influencers you have worked with or plan to work with in the future. You can create a list of influencers you want to work with for a specific promotion, or a list of influencers you believe are amazing content creators. 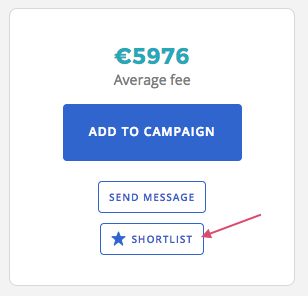 Shortlists are also the basis for creating Campaigns. To add an influencer to a shortlist, click on Discover Influencers at the top right hand corner of the page. If you find an influencer that you'd like to collaborate with or save for a later campaign, click Shortlist directly from the search result. 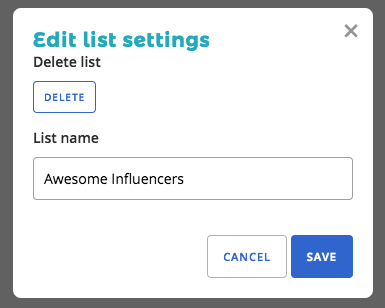 You can add the influencer to an existing shortlist by selecting the correct list in the dropdown menu, and click Add to List. If you haven't created a shortlist yet, or you'd like to add the influencer to a new shortlist, click Create a New List. You'll be asked to name your shortlist. 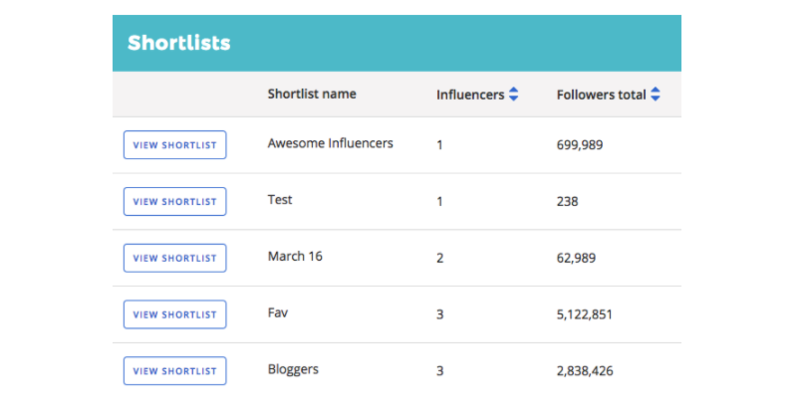 Click Create and the influencer will automatically be added to the newly created shortlist. Alternatively, you can also shortlist the influencer in their profile page. You can locate the shortlist button on the right-hand side of the page. 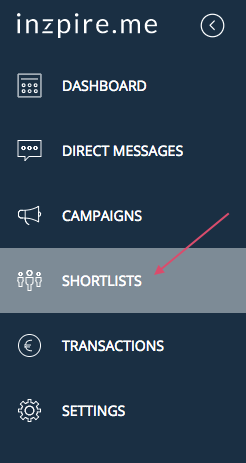 To manage your shortlists, click Shortlist in the sidebar menu. You'll find an overview of each of your shortlists. In a quick glance, you can see the number of influencers there are in each shortlist, as well as the total number of followers, the average and total fee for the influencers, and the number of followers the influencers have in each social media channel. Use the blue arrows next to each column title to arrange the numbers in ascending or descending order. Click View Shortlist for an overview of a particular shortlist. You can remove any influencer from your shortlist by clicking on the x icon. Rename or delete a shortlist by clicking Edit Shortlist on the right-hand side of the page. Click Save to apply any changes to the shortlist. Need help creating a shortlist? Send us a chat!